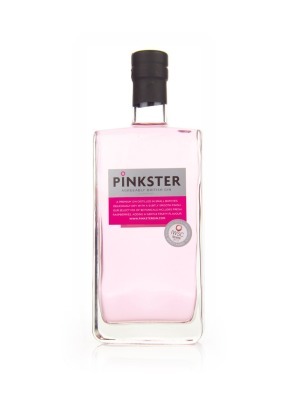 Pinkster Gin is a popular Craft Gin available from 31dover.com in 70cl to buy online. Visit 31dover.com for the best price for 70cl of Pinkster Gin or compare prices on our other Craft Gin products. Distilled in small batches, Pinkster is an award winning, premium gin. We hand-steep fresh, locally grown raspberries in the spirit at our Cambridge HQ. We're deliciously dry, with a hint of fruit and an exceptionally smooth finish. For a refreshingly different G&T, mix with a decent tonic and add a sprig of fresh mint. We appear to be doing something right, as we were recently voted the UK's third favourite gin. So there you have it, welcome to Pinkster, the natural gin with a mischievous grin. Where to buy Pinkster Gin ? Pinkster Gin Supermarkets & Stockists. You can buy Pinkster Gin online in most retailers and find it in the Craft Gin aisle in supermarkets but we found the best deals online for Pinkster Gin in 31dover.com, TheDrinkShop, Amazon.co.uk, and others. Compare the current price of Pinkster Gin in 70cl size in the table of offers below. Simply click on the button to order Pinkster Gin online now.